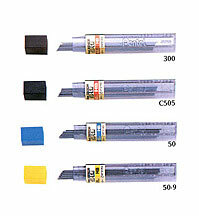 Polymer resin based lead contains no graphite. Adheres readily to film. Creates less dust. Has a high degree of resistance to smearing, facing or staining. Available in 3 diameters.